USA Today bestselling author Amanda Hocking became a self publishing sensation when her Trylle trilogy (Switched, Torn and Ascend) sold over a million copies, mostly in e-book format. Now, St. Martin’s Press is releasing those novels as paperbacks with exclusive new content: Switched, Jan. 3, Torn, Feb. 28 and Ascend, April 24. 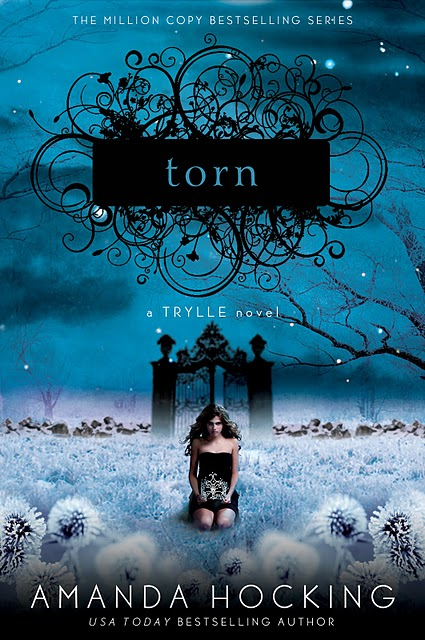 SheKnows reviews the latest captivating novel in the trilogy to be released, Torn. Amand Hocking’s Trylle trilogy is a must-read not just for young adult and paranormal fans, but for anyone who wants to be engaged in an intriguing novel full of unexpected twists and turns. In Torn, the second novel in the series, you’ll be captivated as you follow the heroine, Wendy Everly, after she discovers some shocking truths about herself and must ultimately make a choice between her heart and her duty. She shares a closer connection to her Vittra rivals than she ever imagined and they are relentless as they try to lure her to their side. The threat of war is on the horizon and Wendy’s only hope of saving the Trylle is to marry a powerful royal. But if she does, she must leave Finn, her bodyguard who’s off limits… and Loki, a Vitra prince with whom she shares an attraction. Wendy is torn — between love and duty. Does she protect her people or follow her heart? If she chooses the wrong path, she could lose it all… in both worlds.